Here is the first installment of my blog on doing a Masters course in Translation and Interpretation (Chinese) at Bath University in the UK. Seeing as it is reading week, I've found I finally have time to do an update on how things are going, I guess I will probably do the next update when we break up for Christmas in December. There's really no time to do anything else except study and class prep in normal term time. Well I've been on the course for six weeks now, and it has been as intense as expected. Despite being at a UK university, I am the only westerner on the course, with 23 students, mainly mainland, but also a few Taiwanese and HK too. There is actually a Taiwanese American student who has taken English as his mother tongue (with all due right), but having been bilingual and living in Taiwan for the last 20 or so years, I feel like we're not really in the same boat. I am clearly bottom of the class in terms of relative language ability, as expected. Being surrounded by people who have studied English for decades, my 5/6 years of Mandarin stands out as particularly bad. I am so used to speaking Chinese colloquially, I am frequently lost for words when asked to interpret English speeches into Chinese using the right register. Anyway, onto the course content. All parts of the course have a two hour class slot that meets once a week: Simultaneous interpreting: we have a dedicated lab with fully equiped professional booths that all face into a bigger room with a conference table in the middle. The set up accurately mimics a real simultaneous interpreting situation, and the tech available is fantastic. Classes are very active, with every student having a chance to practice every class at least twice (practicing skills taught by the teacher in the lesson). I was placed on an internship at a UN week-long environmental protection meeting two weeks ago in London, to get in some valuable practice time. We used the real booths used by the pros for a week (with our mics switched off of course). We did shadowing and interpreting (almost exclusively from English into Chinese) for around 8 hours a day for a week. After this week something clicked in my brain, and now I can keep up with my peers in this class now. Not only that, but my professional Chinese has improved a lot as a result of the E-C direction. I have also discovered that in many cases working from English into Chinese is more often than not EASIER than Chinese to English. Why? I personally feel like the sparsity of phrases 'like' 成語 in English, plus the terseness of professional Chinese means you've always got enough time to think and interpret. Chinese to English is so much harder than I expected, to put it lightly. For example, 授人以魚不如授人以漁 was said in a speech during class a few weeks ago; not only had I not heard the phrase before, but I had no time to guess the meaning (多音字嘛 I thought the person had said the same thing twice by a mistake...), and by the time it was already too late the interpreting student had already interpreted it into "better to teach a man to fish than to give him a fish". I mean, that makes more sense than what I was able to offer (which was just silence). So, simultaneous as a skill, I can do. But the sheer amount of knowledge you need at your fingertips is insane, and I am still far from being at a professional level yet. Consecutive interpreting: This class is largely centred around memory skills and note taking. Most of my peers have already studied interpreting in some form or another before starting this course, and many are already able to acurately remember speeches of five or more minutes long using some quite fantastic symbol-based systems. The teacher does not teach us a system, but rather teaches us how to build our own personal system effectively. I have found that using English keywords and acronyms has helped a lot, but really don't get too much of a kick out of arrows going everywhere and houses with dollar signs on them etc. As a little side hobby, I've taken up learning Pitman shorthand (new era) mainly for fun, but also with the hope that /some/ of it may come in handy with consec. note taking at some point in the future. This class is by far the hardest, and the teacher seems to enjoy choosing incredibly difficult speeches from people with non-standard accents. Very difficult, very embarassing for me, as most students have no issues in this class. What can you do when you didn't understand, or have forgotten what was said, and have no way to ask the speaker to repeat/clarify? This class makes me so nervous. Liaison interpreting: We have a mock conference/meeting every friday and are expected to prepare for it in the preceding week. The class is split into two groups: Chinese side, English side, and interpreters. The two sides discuss a topic for 2-3 hours whilst the interpreters take it in turns to sit one-by-one in between the two groups and act as a liaison interpreter. The pressure is noticeable, as the whole course is there watching you, and everyone is able to discern how good or bad your interpreting ability is (unlike when you're in the sim. interpreting booths, secluded and safe). Again, note taking is a skill that many of the students here employ. I would say to any westerner thinking about taking on a course like this, aside from having a very, very strong and well-rounded ability in Chinese, you should almost certainly also be practicing note-taking on speeches both in English and Chinese BEFORE starting a course (evidently with Chinese students in particular it would seem). I regret being under the impression I was going to learn note taking skills ON this course; I now know this of course is not the case, as pretty much everyone is already able to do this. Translation: We have both 'Chinese to English' and 'English to Chinese' classes. This needs no real explanation, its pretty much exactly what you would expect: teacher teaches theory, sets translation piece for homework, you translate it, get feedback, rinse and repeat. C-E very relaxing, the teacher seems to enjoy literary translation (lately lots of 紅樓夢 talk), E-C also ok but a much slower translation process for me. The translation process is private, however, so there's no real embarrassment to be had on this part of the course (so far...) All in all? I am loving the course, my classmates are fantastic people, very intelligent, hard working, inclusive, not 'immaturely' competitive if you understand what I mean, and importantly, very supportive as a community. Nobody treats me like a foreigner at all, I'm just another student. In that respect, theres not much leeway given, and as a result I feel like I'm ALWAYS being pushed to get up to their standard rather than being forgiven for being a 'foreigner'. Teaching is top notch, facilities are fantastic. And the fact that the course DOES have English-Chinese direction (as well as C-E) is a massive bonus if you ask me. My Chinese has improved rapidly, I can now read news probably 2-3 times faster than when I started the course. Why? Because I now read (mostly outloud, under my breath) for about 4-5 hours a day (as opposed to about 1 hour before the course). As you may be able to tell, I now live, breath and sleep in a world of studying speeches. I would not recommend this course for anyone who 'wants a life'. I feel obliged to say "sorry for the wall of text" - see you all in December. I just wanted to chime in and say good job with the product. The more resources there are the better! I don't understand why there's so much much flak when you're just announcing your product. 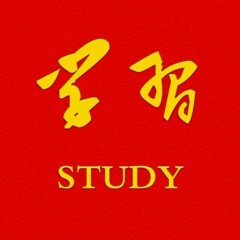 You've not once said it's the only way to successfully learn Chinese, but it's another method people can use to learn. I've just subscribed to the YouTube channel and really enjoy the videos. It's great to have some good video production for a change. My feedback regarding the product is 1. the price and 2. the need to submit card details to get the free trial. I'd be more than willing to try if there was say a 7 day free trial without needing to submit card details, then it just expired after 7 days. If I was interested, I could then pay for the subscription. Regarding the price, with websites like Lynda.com being just £15 a month which has hundreds of different courses, it tough to spend $30 a month on just a Chinese course. I know there's the biannual option, but personally I don't purchase long subscriptions until I've used the product a while. Nonetheless, keep up the work. Take some of the comments with a pinch of salt, as some people seem to spend much more time criticising studying techniques than actually studying themselves. In most of the world's languages, you can turn a word into its respective occupation by adding affixes to it. However, as Chinese doesn't conjugate, we attach an additional character to a word instead to form that corresponding job. One aspect in which Chinese differs from English when forming occupation words is that in English, what suffix is used depends mainly on the origins of words, but in Chinese people choose occupation particles based on the properties and characteristics of that job. Here're some practically and frequently used occupation particles in Chinese. 1.家 家, with its original meaning of a family or a clan, can be extended to refer to a particular philosophy, theory or ideology. Hence, when it's used to form an occupation word, that occupation would be usually related to a professional skill, interest or talent. For example: -文学家: a person who has been educated on literature — a litterateur. -画家: a person who is professional in drawing — a painter. -科学家: a person who has professional knowledge about science — a scientist. -音乐家: a person who is well-educated and professional in music — a musician. -美食家: a person who is passionate and authoritative in appraising foods — a gourmet. It's good to note that when two different occupation words are derived from the same origin, the one with 家 added often has a higher level of profession, authority or recognisation. For instance, 歌手 and 歌唱家 are both people who take singing as their jobs, but 歌唱家 is definitely regarded as an artist while 歌手 is probably just a public performer or a pop song singer. Another interesting fact is that when we come to players for specific musical instruments, the only two that are conventionally named with 家 are 钢琴家, a pianist and 小提琴家, a violinist. 2.师 师 originally means a teacher or an adviser. When a job is named with 师 attached, it refers to people who are well-trained or experienced in a particular area. The difference between it and 家 is that a 师 may not necessarily have the profession or talent. Here're some examples: -教师: a person who is trained to teach others — a teacher. -厨师: a person who is trained to work in a kitchen — a cook. -理发师: a person who is trained to manage people's hair — a barber. -会计师: a person who is trained to account money — an accountant. 3.手 手 means hands, thus referring to people who have high skills or talents, but only in a small area. Unlike 家, a XX手 usually doesn't have an overall profession in a general field, but in a much more specific section. It is very often seen in players of a particular instrument. For example: -鼓手: a person whose task is to play the drums — a drummer. -吉他手: a person who plays the guitar — a guitarist. -小号手: a person who plays the trumpet — a trumpeter. -舵手: a person who is responsible for managing and controlling the helm — a helmsman. 4.工 工 means originally work or labour. Hence it is usually used to name those jobs that need hard labour or manual processes. For example: -技工: a person hired to manage technical issues — a technician. -水管工: a person paid to repair waterpipes — plumber. -电工: a person paid to check and fix electrical devices — an electrician. -油漆工: a person who paints buildings — a painter. 5.匠 匠 basically means a craftsman, so it is used for any job related to crafting and designing. Though it also involves laborious processes often, it's different from 工 as the labour is done in order to craft or make a certain object or artefact. For example: -木匠: a person who uses woods to do handicrafts — a carpenter. -铁匠: a person who crafts metal objects — a blacksmith. Hello everyone, It has been a while since I last updated my blog. There were a couple of reasons for this - My eyes My vision was deteriorating quite a lot and last November the decision was taken to under go cataract surgery. As this was in the UK and on the NHS the wheels grind (no complaints it just the way it is) and eventually I now have 2 new lenses and can see better than I have been able to for many years. I found it was becoming increasingly frustrating trying to read characters with bad eyes and magnifying glasses are a pain, hard to scan pages with one. I am still in recovery, it is only the third day after my second eye so slowly slowly does it. My intention is to return and update my blog with my new learning schedule and updates as to my successes and failures and hopefully help myself and others to progress with learning Chinese. Just wanted to update anyone who was interested that my hiatus from learning is now turning slowly into a return to learning. Just a couple more basic things. Apart from 学习, here are what the other buttons in the bottom right do: 社交 (social life) - this is where you can choose which friends to hang out with or who to pursue as a boyfriend/girlfriend 商店 (shop) - you can buy things using your pocket money. Some will help relieve stress (ice cream, movie tickets), some will help with your studies (exam secrets book), and some will help develop new hobbies (buying a guitar etc). 事务 (duties/jobs) - here you can do household chores (to earn extra money) or ask for things from your parents (eg a new games console - whether they get you one is down to the amount of face you have, which is earned by doing well in exams and doing things your parents approve of) 期望 (hopes/expectations) - your parents will have various hopes and dreams throughout the game. Normally these involve achieving something within a certain timeframe (eg learn the piano). You earn rewards if you complete these. Earlier this year, I decided to step down as organizer of the Chicago Mandarin Conversation meetup. As for why, I've been hosting Mandarin conversation meetups in some form or another since fall 2013, and I've simply lost interest (but I will continue to host the Chinese study group for a while). Fortunately, Kenneth has decided to take my place, starting in January of next year. We had a nice WeChat call just now about how to run the meetup, and these are my notes from that meeting. Should we merge the two groups? (Chicago Mandarin Conversation and Chicago Chinese Study) I'm slightly against this idea. One is for all levels and the other is for advanced speakers. It does make some things easier, but the problem is that with a mixed membership the advanced group will almost certainly get more beginners showing up. Remember that people don't read event descriptions! Members I fairly strict about membership requests, requiring applicants to write a coherent introduction in Chinese. You can decide to be more lax on this front, and just accept any applicant that completes the profile (which is what I used to do). You have to accept that some beginners might slip through, and when they show up, you can refer them to the all-levels group if it's clear they don't belong in the advanced group. Try to keep a good record of no-shows. If someone with a history of no-shows signs up, you'll know that they likely won't attend, and they can be automatically kicked off a waiting list if there is one. There have been rare occasions when a member brings their child to a conversation event. I think this is OK if the parent is taking part in the conversation themselves, and the child is just hanging out. But if the parent tries to leave their child there, kick them both out! Meetup is not free babysitting. Co-hosts When I started out, it was just me and my friend Aaron, and it was weeks before we got a third attendee. Even though it was a very small gathering, it was easy to host because I had a co-host and friend who I could count on to be there more-or-less on time every week. Definitely try to recruit your friends and coworkers to come, and keep a mental list of people who can step in for you when you're absent or running late. There are a lot of people who claim that they would like to host a event. Do not believe them! If they actually name a place and time and show up at that place and time, that's when you can believe them. Marketing Big announcements should be published on these platforms (in order of priority): Meetup mailing list WeChat group Blog FB page Twitter Normal announcements should just go on the mailing list. Posting pictures to meetup.com helps a lot with promotion. It's better to have the picture taken on your own phone so you can just upload it yourself. Another good way of promoting the meetup is to encourage people to write positive reviews. You should send out a message to the mailing list introducing yourself and explaining that you will be organizing the group from now on. There are probably some members who still believe that this meetup group is dead. Remember to change your profile to indicate that you're now an organizer! Scheduling Having a recurring event helps convince people that this is a stable, active meetup. I recommend having at least one event that always occurs on the same relative day of the month at the same location and same time. You can schedule additional events at different places and times to spice things up. Expect that about 50% of the RSVPs will actually show up. If the event is at a restaurant, make sure to schedule the meetup 30 minutes in advance of when you want to take a seat. This avoids a lot of problems, like having to be reseated because the expected number of people didn't show up. If at all possible try to schedule at the edge of busy periods. For example, instead of scheduling for noon, choose 11:00 am or 1:00 pm. If you can avoid it, don't make reservations ahead of time since it's hard to estimate the number of attendees. You don't need to announce it, but you should always have a backup plan. For restaurant events, you might show up to find that the restaurant is full or it's suddenly closed down for renovation or failed health inspection. Backup restaurant should be one that you're familiar with and which is generally not busy. For Chinatown, I think the underground cafeteria is a decent backup venue. Try to avoid cancelling events if at all possible, even if the number of RSVPs is really low. Sometimes people will show up even if they didn't RSVP. If you do need to cancel an event, announce it the day before, especially if there are guests who would be coming from out of town to attend. The best backup plans account for the event where no one shows up (hopefully that never happens to you). Topics Since the average level of attendees is likely to be lower from now on, you should consider announcing discussion topics ahead of the event. Intermediate speakers tend to be more passive conversationalists and need more prodding. When you encounter an awkward silence, that's your cue to introduce a topic. Restaurants Prefer venues that are quieter, less crowded, and have lazy susans on their tables. When ordering at a restaurant, the host(s) should always order for the group. Always remember to ask about dietary restrictions. Do not allow more than 20% of the dishes to be "adventurous" (e.g. chicken feet, jellyfish, duck's blood, etc). Do not let every attendee order one dish. Instead, ask every attendee what kind of food they're most looking forward to eating, and take everyone's wishes into consideration. If an attendee has special knowledge of a restaurant's cuisine, let them order. When dishes are brought to the table, ask the server which dish it is and what ingredients are in it. This is useful for people who aren't very familiar with the cuisine. Make sure to take a picture of the receipt so that people know what you ordered. Better yet, take pictures of the dishes and post them to meetup.com. If I'm the host, I prefer to pay the whole bill and ask everyone to pay me via Venmo or cash. Sexual harassment and other inappropriate behavior If a member reports another meetup.com user (not necessarily a member) for abusive messages, report them to meetup.com. The admins can see the messages on their side and hopefully they'll take the appropriate action. Keep in mind that for every abusive message you hear about, there are many more that aren't reported. Women receive a crazy amount of creepy messages online. Kick spammers out and block them from rejoining. IRL abusive behavior should be shut down immediately. Kick the offender out of the meetup group right away. If they want to rejoin the group, they'll have to talk to you before their membership request can be approved. Things I have kicked people out for: homophobia, trying to use the group to sell pot, and trying to recruit members into one of those Chinese pyramid schemes. You cannot kick someone out for looking like a creep. You can, however, pull female members aside and advise them not to accept free car rides from creepy-looking men. We used to have a code of conduct. We should bring it back as a blog post and put a link to it on the meetup.com description page. WeChat It's good to maintain a WeChat group so that it's easier for attendees to add each other. Just scan the group instead of scanning each other. The group is also useful for announcing events to existing members. Any person who is spamming the group should be kicked out immediately. They can rejoin if they agree to stop spamming. Currently, the requirement on the WeChat group is that no English is allowed. In practice, the group is really low traffic so I don't think that this is a necessary rule. I will transfer ownership of the existing group to you. You should periodically clean out the WeChat group of members who haven't shown up in a long time. It's harder to find the people you want to add if the group has a lot of members. We used to have a Facebook Group, but I don't think it's a viable option anymore now that the FB Groups app has been pulled. Using FB Groups from the main Facebook app is a way worse experience than just using WeChat. Also, I don't think FB Groups has the translate feature. Recruiters You will eventually be contacted by a recruiter who wants to post job ads to the group. It's your call whether to allow it, but I sent out a survey to ask the members if they want to see job ads through the meetup, and the response was mostly negative. In truth, only a few members have the language skills that qualify for the jobs I've seen. I think the best way to handle this is to ask the recruiter for the Chinese version of the job ad and post it in the WeChat group. Or just ignore recruiters entirely. Events at your home On occasion, you might want to host an event at your own home, like a potluck, game night, or movie-watching party. This is a great idea, and a wonderful opportunity to torment your friends with your indie music collection (ahem). Do not post the event with your exact address, the street corner or closest El station is good enough. You can message your phone number and address to confirmed attendees the day before the event. You may want to enable a waiting list whose size corresponds to the size of your apartment. Exclude inveterate no-showers from RSVP'ing. You may also want to limit the number of guests that you haven't personally met before. It is not a big deal if your place doesn't have enough chairs for everyone. In practice, people are happy to stand for 2 hours if they're having a good time. If it really bothers you, then clean your floor and people can sit on that. If you invite a total stranger to your home, you don't have to give your phone number and address to them right away. Remember that this person might not even show up! You can add them on WeChat/Facebook, and tell them to send their location to you when they get within a mile of your location. Once you've confirmed that they're actually coming, you can send them the relevant information. Other types of events Here are some events I've hosted or attended, and what I think of them. Exhibition of Ai Weiwei's photos: It was really nice to chat while browsing the exhibition. I don't think this type of event needs to be limited to exhibitions of Chinese artists. Mandarin Mingle in SF: This was held inside a hotel bar and everyone stood the whole time because there was no seating in that area. An absurd number of attendees, RSVPs were capped at 70 and maybe half showed up. I enjoyed it, but I wonder how long it would take to set up in Chicago. Chinese chess and conversation in Montreal: People really seemed to like the vibe of chatting while playing a board game. After the meetup proper they went to a nearby restaurant for dinner. Experience was marred by the organizer being a really creepy guy who didn't speak a lick of Chinese and who threatened to expel a female member who wouldn't give him her number (he was only there briefly since he had nothing to contribute beyond being creepy). Mahjong and hotpot: I thought this was an interesting combination. Worth the effort if you have the equipment and some people willing to help you out with chopping and cleanup. Watch a Chinese movie at a film festival: I don't really recommend this as a meetup event. It's fine to watch a movie with friends, but watching a movie with other meetup members is pretty much the same as watching it with random strangers. In practice, no one stays around after the movie to discuss it. Language exchange: Maybe I'm bad at managing this type of event but I've never seen it go well. After the switchover from Chinese to English, the conversation tends to just stay in English. Picnic in a park: This was fun, and we got some exercise to boot. We chatted while eating unhealthy snacks. We spent most of the time playing that game where you draw a card and put it on your forehead, and you lose if you say the number on your head. Loser has to do a challenge (usually something physical, like running to the library and back or getting a photo taken with a passing dog). Friendsgiving at Sun Wah BBQ: Kind of an annual tradition that we skipped this year. I don't usually like hosting events at restaurants but this is somewhat of an exception. It's interesting how this event tends to attract people who show up just for this and never come back.